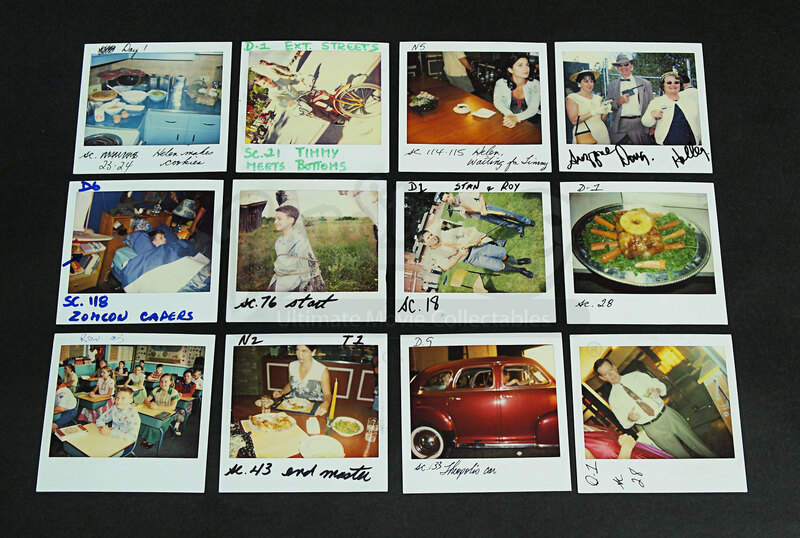 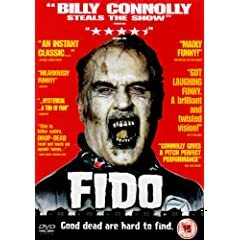 A set of continuity polaroids from the set of the 2006 Billy Connolley zom-com Fido. 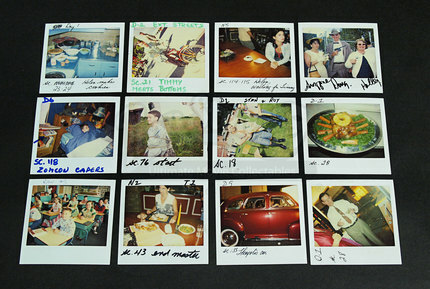 The twelve interesting photos range from shots of kids Stan and Roy with their rifles, Timmy on his bike, Helen's baking arrangement, dinner, 'Zomcom' capers' and which kids sat where in row 3 at the school. 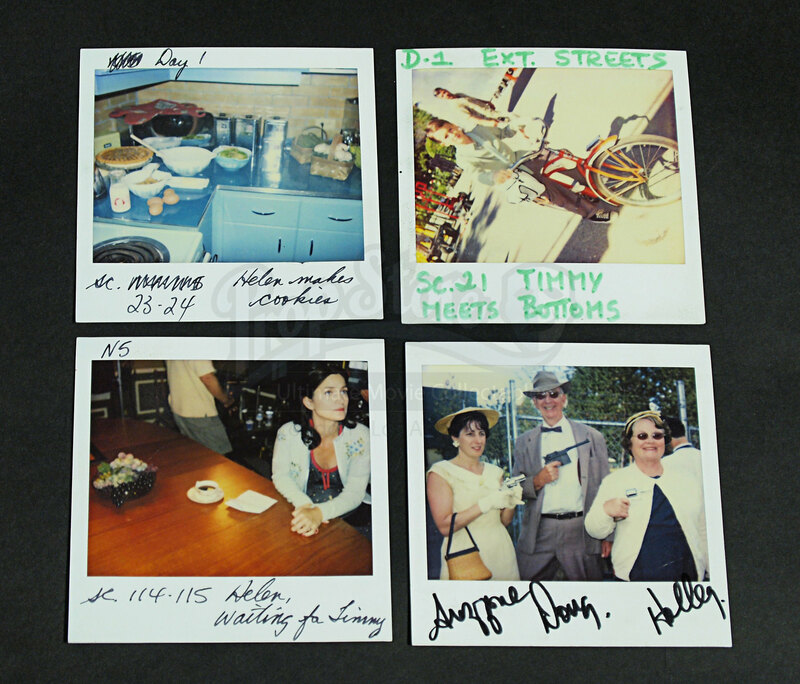 Instant polariods are an invaluable source when making movies, such as when re-setting or revisiting a particular scene the photo can be referred to to make sure everything is exactly as is was right from the very first take.